To help educators ensure a high-quality inclusive education for students with disabilities, the authors include detailed, step-by-step examples of modified lessons in math, reading, science, and social studies. Readers will see how instruction and assessment can be adapted for students of all ages with a wide range of abilities and communication needs. The definitive resource on AA-AAS—and an essential supplementary text for future general and special educators—this book will make alternate assessment meaningful and lead the way to higher academic achievement for students with significant disabilities. 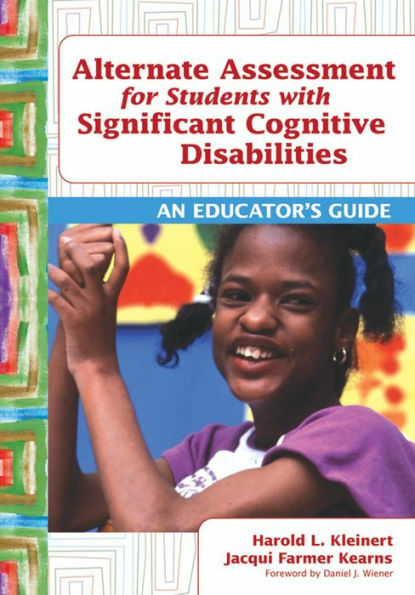 "Succeeds in addressing some of the most difficult questions in special education in accessible language...both useful and thoughtful and will likely be highlighted, earmarked, and heavily relied upon by many educators and students of education." "A thoughtful, thorough, and timely guide to the design and implementation of high-quality alternate assessment . . . reflects high expectations for what students with severe disabilities can and should learn." "A great resource for the people on the front line of alternate assessment . . . will help teachers in the planning and implementation of daily instruction and alternate assessment methods." "Exemplifies the best thinking on making a positive impact with the academic development and assessment of students with intellectual disabilities." Review by: Margaret J. McLaughlin, Professor and Associate Dean for Research and Graduate Education, University of Maryland, College Park, MD. "The content is without a doubt the most up-to-date and evidence based in the field. While descriptions of assessment concepts and strategies are excellent, so too are the chapters that detail how to provide instruction linked to grade level curricular standards."